Tarun Gupta June 15th, 2013 Internet Marketing no comments. Online marketing is living in a domain where agile engagement is the only key seems brilliantly effective in business proliferation. There are numerous connected platforms available there that play well in the engagement process. Content marketing and social networking are two such amazing platforms that when integrated together, yield incredible results in terms of reach, traffic and revenue. Digital Marketing Services professionals leave no stone unturned in order to harness the combined advantages of social media and content marketing. For a while If I leave the communication engagement part aside, Google's newly introduced Penguin and Panda updates could be stated primary reason behind its involvement. Penguin blatantly complained and penalized those websites that relied on unethical SEO strategies to get instant results and Panda kicked spam content practices prevailed in the domain. By launching theses two algorithms, Google strongly conveyed a message to the webmasters not to take shortcuts for search rankings. Amidst the Google attack on online websites with spam links and content, one aspect became widely visible that content is the king. Probably this notion has become the influencing force behind the term content marketing. Before strengthening your content marketing strategy, it is vital to align your strategy with your marketing objectives and goals. Before launching the campaign you need to answer a series of questions to make sure that the campaign is being pushed at right angles. There are certain goals that an Search Engine Optimization Company set to gain from the campaign. Goals inclined towards revenue generation. Goals inclined towards brand awareness. Goals inclined towards driving visitor traffic. Most of the content marketing campaigns focus on either of the above stated motives or combine all three together for maximum business results. I am describing in the detail below the major steps that a strategist should follow in order to earn maximum returns on the investment. Every audience has its own preference and taste regarding the format and type of content used in the marketing process. It is very important therefore to match your marketing objectives with the content types and formats. Meanwhile, you may extend instructions to your content writing service team to define type and format. 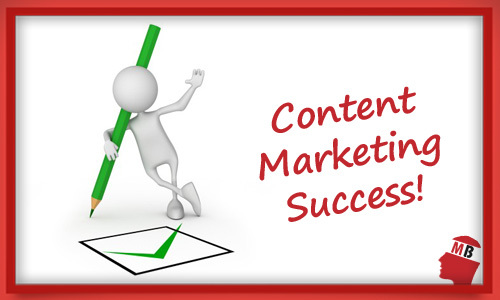 Usually, there are different type of formats used in the content marketing. Content that defines an organization's expertise such as articles, Press Release and Blog posts. Content that intends to new client acquisition such as e-books, white papers and demos. Content that inclines to earn leads. Generating a viral effect using the content is a very important aspect throughout the content marketing process. Until an audience notice your text, it won't be able to generate any potential impact on them. You may utilize influencers to pull audiences to your service. There are a number of bloggers, digital media experts and social media biggies who may influence your customers. Subscribe their services to create buzz around your content and initiative. Engage with influencers using a perfect online media planning on a regular basis to push your content to the right audience. You May Also Like : Top 5 Audience Engagement KPIs: How to Measure Them? A content can only leave the impact on the audience if they find it easily and effortlessly. Make the content shareable if you want to drive more traffic to the content and better conversion. Use Call-to-Action buttons and social signals to let users reach your content without any extra effort. Once you have done with all the above mentioned aspects,it is very important to measure your results to determine whether you have achieved the expected results or not. Potential goals that you can measure using reporting tools may answer a number of questions. You can measure prospects of more sales, improved brand mentions and growth in new viral and content shares. These tracking applications and Analytics Tools help business owners to regularly assess the overall success of their content marketing campaigns and adjust the efforts as per requirements. It will further help you to measure and reevaluate your content marketing initiatives within the new dimensions.